They were just some cardboard boxes. 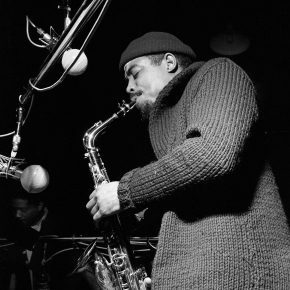 Eric Dolphy wanted to store them while he went to Europe to tour with Charles Mingus and spend some time with his fiancée, the dancer Joyce Mordecai, in Paris. Dolphy was giving up his apartment, because he didn’t know how long he’d be gone, and his friends Hale and Juanita Smith had room in their house in Freeport, Long Island. Juanita got special permission for Dolphy to drive into the parking garage at the United Nations, where she worked, and transfer the boxes to her car. The next day, Dolphy’s friend John Coltrane drove him to E.B. Marks Publishing, where Hale worked, so Dolphy could say goodbye. Then he was gone. And he never came back. The Smiths were back in their hometown of Cleveland to celebrate Hale’s 39th birthday on June 29, 1964, when they got word that Dolphy had died from a diabetic seizure in Berlin earlier that day. He was 36. Eventually, after the shock of the death had worn off, Hale looked inside those cardboard boxes, and found the materials of his late friend’s ongoing musical exploration: books, sheet music, a Bollenseck tape recorder, and tapes of unreleased music. The first batch of that music was released in 1987 as the album Other Aspects. A second batch has finally been released by Resonance Records—first on vinyl in November, then on CD in January—as Musical Prophet: The Expanded 1963 New York Studio Sessions. The new set features recordings from sessions on July 1 and 3, 1963, that eventually yielded the Dolphy albums Conversations (FM Records, 1963) and Iron Man (Douglas Records, 1968). Eighteen tracks—nine previously released, nine previously unreleased—are taken from the original, never-before-used mono mixes. To these 18 is added “A Personal Statement,” a 15-minute piece performed by Dolphy and the Bob James trio, and composed by James, a smooth-jazz elder statesman today but a 24-year-old avant-gardist in 1964. This piece was previously released on Other Aspects with an incorrect title (“Jim Crow”) and an incorrect composer credit (Dolphy). Quite a haul from those unassuming boxes, which a less discerning heir might have tossed or abandoned to the basement. Given that Dolphy is an artist whose reputation is much larger than his catalogue of mature works, these unearthed tracks are an important find. It’s not just that he died at 36; it’s that he didn’t find his distinctive voice until 1961, when he was 33. That was when he took a giant leap forward, as documented on live recordings from the Five Spot in New York. They featured not only his landmark unaccompanied bass-clarinet rendition of “God Bless the Child” but also sterling work on bass clarinet, flute, and alto sax leading a quintet that included trumpeter Booker Little, pianist Mal Waldron, bassist Richard Davis, and drummer Ed Blackwell. That marked the end of his contract at Prestige, and before he moved on to his Blue Note masterpiece Out to Lunch!, he did those two sessions for FM. A gifted flutist, Newton has recorded more than 20 albums under his own name and even more titles with such leaders as David Murray, Arthur Blythe, and Leroy Jenkins. Now in his last year of teaching music at UCLA, he has just released a chamber-music album, The Manual of Light. It features variations on “Amazing Grace,” inspired by Barack Obama’s singing of the hymn at the funeral for the victims of the 2015 terrorist attack on Charleston’s Emanuel African Methodist Episcopal Church. Newton was already a Dolphy disciple when he was introduced to Hale and Juanita Smith by his mentor, Stanley Crouch, in 1979. The couple took the serious young composer under their wing, just as they had the similarly earnest Dolphy some 20 years earlier. Dolphy had been introduced to the Smiths by Hale’s college classmate, the guitarist Jim Hall, a former member of the Chico Hamilton Quintet that employed Dolphy. Like Dolphy before him, Newton became a regular guest at the Smiths’ Long Island home. Hale eventually shared the contents of those cardboard boxes with Newton, who was so excited by the music that he eventually put the Smiths in touch with the Dolphy family and Blue Note Records. The result was the Newton-produced Other Aspects. Hale died in 2009, and a couple of years later Juanita turned the boxes over to Newton. “That’s what Hale would have done anyhow,” she says. In 2014, Newton and the Dolphy family donated the boxes to the Library of Congress. That same year producer Zev Feldman, visiting the Monterey Jazz Festival, mentioned to Apple Music’s Garrett Shelton that he had a mandate from Resonance to search out and secure the rights to any important unreleased jazz recordings. Shelton suggested that Feldman might want to talk to Jason Moran, who was sitting across the room. “Would you be interested in some unreleased Eric Dolphy?” Moran asked. “Of course,” Feldman replied excitedly. Moran gave the producer Newton’s contact information. By contrast, the July 3 date was crowded with 11 different musicians mixing and matching in different combinations on the six non-duo tracks from Conversations and Iron Man. Six alternate takes from that day’s work are included on Musical Prophet. There was no pianist on the date; instead, vibraphonist Bobby Hutcherson returned from the Five Spot recordings. The mostly young and little-known horn section included Woody Shaw, Sonny Simmons, Clifford Jordan, Prince Lasha, and bassoonist Garvin Bushell. “This re-release of Iron Man and Conversations, coupled with the outtakes,” Newton argues, “represents the missing link in Dolphy’s language. It brings us to a closer understanding of the postbop period. Sometimes there are changes, sometimes there aren’t. Sometimes there’s a song form, sometimes there’s not. Richard has said there was almost no verbal instruction at all on the date. I guess Eric wanted the musicians to find their own way into the music. 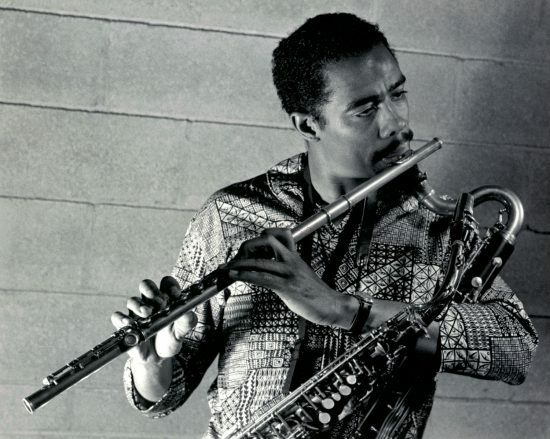 The discussions between the two men about everything from Arnold Schoenberg’s 12-tone technique and Thelonious Monk’s octave displacement to the harmonies of African-American spirituals and the rhythms of the African forest people fueled Dolphy’s self-reinvention in 1963. 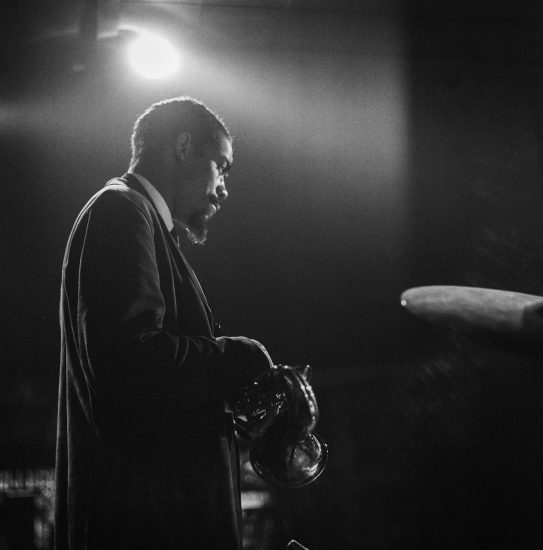 After his short tour with Mingus, Dolphy remained in Europe with his fiancée. 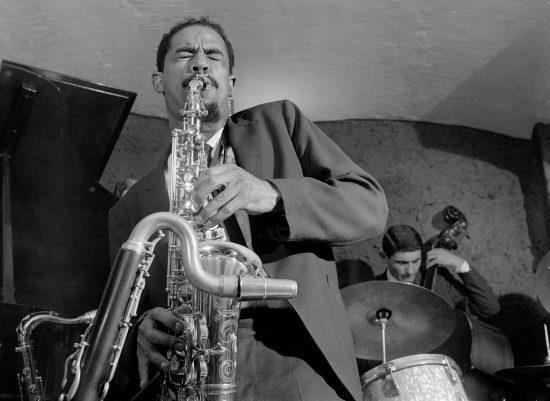 He picked up some gigs with European rhythm sections; a June 1, 1964 date with pianist Misha Mengelberg, bassist Jacques Schols, and drummer Han Bennink was later released as the album Last Date. Inaccurate title aside—it wasn’t Dolphy’s final performance—the music offers hints of a new direction that was, sadly, never taken. Top photo: Eric Dolphy recording the Out to Lunch! album in 1964. Photo by Francis Wolff/Mosaic Images LLC. Check the price of Musical Prophet: The Expanded 1963 New York Studio Sessions on Amazon!